Anyone still out there?? I can not blame you if you are not. It’s been a long 3 months I’ve been gone. I also no longer take part in my baking group I was loving so much, sadly. That was because living overseas, I sometimes won’t be able to find some ingredients to make what was requested in the baking group and thats what happend a few months ago, so I had to stop playing along. I have not lost my love or desire to bake, personal issues arose too and I had to step away. Things are quiter now and now that I have started baking again, I have to laugh…why? Well because here in Japan, we don’t have AC & the temps have been in the 80’s-90’s and fans just don’t cut it my friends! So baking in these temps is crazy without AC. Someone in my husbands shop went blueberry picking at one of the Japanese farms and he wanted me to make him a blueberry pie with them! I love that people request yummies from me, it feels good. I agreed to do it with the hopes I would not melt to death. Sadly the heat has not waivered but neither have I & I waited till it was after 12am to bake it tonight. It may be a few more weeks before I get back into full swing of baking, due to the heat but I can tell you I will so happy when the heat breaks and fall & winter come around, I can not wait! Thinking snowy thoughts,lol. If anyone is still around & reading, stop by to say hello! I will be looking around at some of my favorite bakers soon and commenting again myself as well! 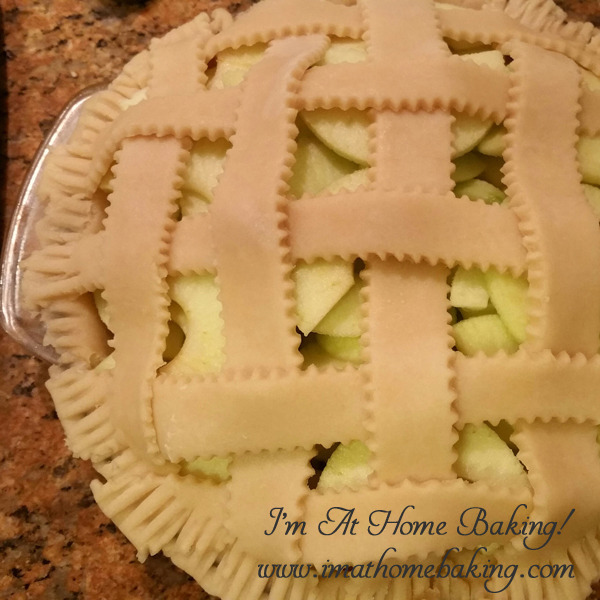 Pie Crust For 9-Inch Pie, Homeade Or Store Bought. Transfer the dough to the pie pan, fold under the excess, and crimp the border using a fork or your fingers. Cover it loosely and refrigerate it for a minimum of 1 hour and a maximum of 24 hours. TIP! There really is no need to use the egg white unless you desire to. I omited it and my pie was perfect. Measure out 1 cup of the blueberries, choosing he softest ones. Place them in a medium saucepan together with the ½ cup water. Cover and bring them to a boil. You can keep this pie out at room tempeture for up to 2 days, if it lasts that long! I will have you know, this pie is AMAZING! All of the flavors are just perfect and I will make it again. Pie Crust Recipe: 2 cups Flour ⅔ cup Shortening 6 tablespoons Cold Water Pinch of salt Cut the shortening into the flour, add the salt then add the cold water, form into ball. I meant to post this yesterday, when I made that statement I had forgotten how busy my Friday was to be, especially my internet time. We attended a retirement ceremony for our friends. 24 years of service to the United States Navy! It was amazing, the very first I’ve been to. My friend warned me to take some kleenex but I failed to do so and I really needed it, such an emotional ceremony for everyone. Good times. I lovingly remember the very first time I made, well…tried to make a quiche and failed miserably too! What I got wrong, incredibly wrong was the spinach part. I thawed the frozen spinach and kind of just added it to it. It was a jiggly, disgusting mess and for the life of me, could not figure out where I had gone wrong. Water. Water is your enemy in a quiche and of course I know that now. You really need to strain it. Like even when you think you can not get another ounce of water from it, I promise you, you can! I did not have any cheesecloth around so the next best thing was a clean kitchen towel! It took a while but it is worth it in the end. We cut into it a little before it was fully set as it was for dinner and time ran away from me, so we tasted it about 1 hour out of the oven. It was delicious. We refrigerated it after that for a while, till it was fully set. 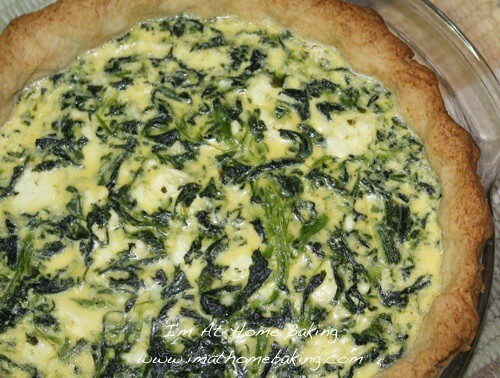 Do you have a favorite quiche recipe? Line a chilled pie crust with a double layer of foil and fill with pie weights. 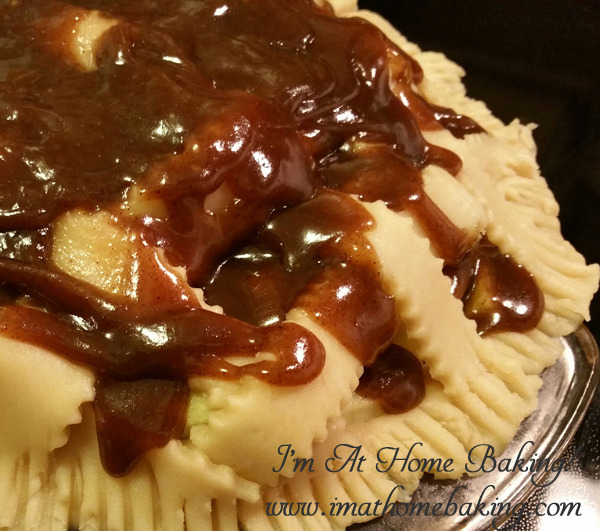 Bake pie dough for 25-30 minutes. Remove from oven. Put oven rack in the lower middle position and decrease oven temperature to 350 degrees. 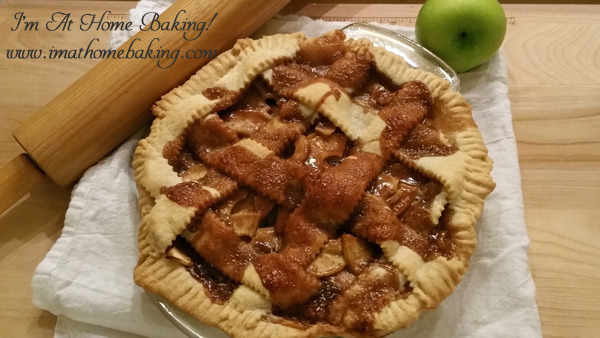 Crust MUST still be warm when you add the filling! Whisk eggs, half and half, salt & pepper in a large bowl. Mix in spinach. Stir in Feta till just combined. 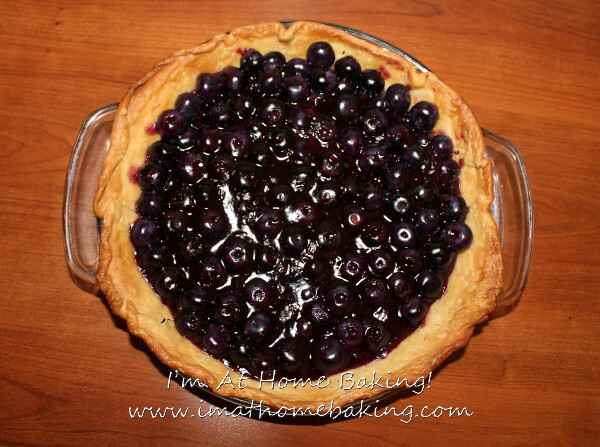 Place warm pie shell on a rimmed cookie sheet and carefully pour in filling till it is ½ inch from top of crust. Bake for 40-50 minutes or till center is soft set and a knife inserted 1 inch from the edge comes out clean. Let the quiche cool for 1-3 hours. Serve slightly warm or fully cooled.